Purple Diamond is among a select few companies authorized by PHMSA as an approved third-party package-testing laboratory in accordance with Hazardous Materials Regulations. 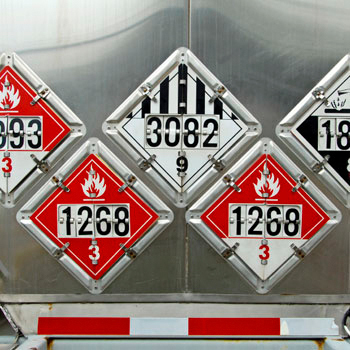 Hazardous materials packaging must successfully complete testing before it can be used for product transportation. Failure to comply with these regulations can result in serious injury to those handling the package and fines to the shipper of the product. Purple Diamond can perform all the testing required for your product to ensure that it’s capable of exceeding all typical road hazards experienced during transportation. UN — The container meets the UN certification standards. 1.4 Specific gravity — 1.4. Solids or inner Packaging Hydraulic pressure in kilo-pascal (kPa) OR For packaging intended for Solids or that have inner packaging, an “S” in upper case will follow the gross mass.